If you’re looking for reliability in a gas furnace for your Lancaster area home, you should note that the ML193 is packed with features that increase reliable performance. Its Duralok Plus® heat exchanger, SureLight® ignitor and durable steel cabinet built with materials that help ensure high reliability and longer product life. 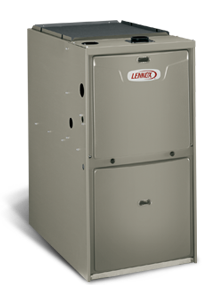 Finally, with an AFUE rating* of 93%, this energy efficient gas furnace can help decrease your utility expenses. Ready to find out how the ML193 gas furnace can make your home more comfortable year round? Need help with a gas furnace repair or want to schedule a gas furnace maintenance visit? We can handle it all. Our staff is trained, experienced and ready to help. Make an appointment or call 740-594-8381 for Athens or 740-654-4328 for Lancaster now.